휘발유 가격이 오르면 운전을 하는 사람들은 아무래도 부담스러운데요, 미국의 휘발유 가격은 한국보다는 훨씬 저렴한 편이지요. 미국의 주유소는 대부분 운전자가 직접 기름을 넣는 셀프서비스 방식이죠. Most of the gas stations in the United States are all self-serve. In other words, you have to pump your own gas. You can pay for your gas at the pump by using a credit card or a debit card. Or you have some stations if you’re paying cash, you have to go inside and pay first, and then you can pump your gas. But there are very very few stations any more in the United States where someone comes out and pumps your gas for you. In the old days, many many years ago, before the self service stations were around, the person that pumped your gas would also clean your wind shield for you; and they would check you oil if you asked them and do all of those things. But now that’s a thing of the past. But now that's a thing of the past. 그렇지만 이제 그 것은 옛날 이야기입니다. (예) Typewriters are a thing of the past. 타자기는 옛날 이야기입니다. 미국에는 전국에 석유가 매장되어 있어 석유를 뽑아올리는 작은 유전들이 아주 많지요? While you're driving on the interstate in the United States, you can see oil wells; or actually they're called Pumpjacks. 커다란 망치 또는 메뚜기 머리처럼 생긴 기계가 꾸벅꾸벅 오르내리면서 기름을 퍼올리는 모습을 볼 수 있습니다. ‘Pumpjack’이라고 하는데, 그 모습이 마치 고개를 끄덕이는 당나귀 같다고 해서 ‘nodding donkey’라고 하기도 하고요, 또는 메뚜기 머리처럼 생겼다고 해서 ‘grasshopper pump’라고도 합니다. 이 기계는 규모가 작은 유전에 사용하는 재래식 펌프입니다. And you can many times see them in the open field. 특히, 텍사스나 캘리포니아 주에서는 들판에 ‘Pumpjack’들이 있고 주간 고속도로에서 볼 수 있습니다. 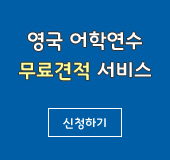 유정들을 고속도로에서도 볼 수 있고, 종종 들판에 있습니다. 곡식들이 자라는 옥수수 밭이나 밀밭에 유정이 있습니다. 작년에 어떤 사람은 자신이 살고 있는 집의 뒷마당에서 유정을 발견했다고 하더군요. Yes, sometimes people even find their oil in their backyard. There's a man that I read about in Indiana who has an oil well in his back yard. And he's producing about 3 barrels of crude oil a day from the oil well in his back yard. 원유 3배럴이면, 약 480리터, 1배럴에 39달러라고 치면 하루 117달러 정도 수익이 되는군요. And he says that it's making money for him. 뒷마당에 있는 원유 펌프가 돈을 벌어주는군요. 리오라 선생님도 뒷마당을 한 번 파보시는 게 어떨까요? I'm going to have my husband get the shovel out and see if we can dig for an oil well. Texas has the most oil wells. They have about a 136,000 plus oil wells, and then California has about 47,000 plus oil wells. And there's a total of about 355,000 oil wells all over the United States. Texas has the most oil wells of all the United States. Well, I want to tell you about a famous TV show that talks about a man who discovered oil in his back yard. He was digging, and he discovered oil bubbling from the ground. And the story for this TV show was around the 1960s or early 70s, and it was called Beverly Hillbillies. The Beverly Hillbillies lived in the hills, and they discovered oil; and they became millionaires. And then they moved to Beverly Hills because they were rich and millionaires. But they still live as if they were in the hills, and they did things like they were still in the hills. So, it's a comedy and it was funny. And they were many famous movie stars in this show. And I remember that when I was growing up. 텍사스 주에는 미국에서 가장 많은 유정이 있습니다. 리오라 선생님, 이 번 주말에는 석유가 나오는지 뒷마당을 파보시기 바랍니다. Yes, this weekend I have lots to do. I have to dig in my backyard for oil. 웰컴투아메리카, 오늘은 미국의 유정들에 대한 이야기를 나눠봤습니다. 지금까지 저 박형권이었고요, 리오라 앤더슨과 함께 했습니다. 다음 주에 다시 찾아 뵐 때까지 건강하시고 행복한 한 주일 보내시기 바랍니다. 안녕히 계십시오. It was so nice being with you today. Thanks for having me, and bye-bye.